Not heading anywhere for spring break? Don’t worry! We’ve got plenty of ways for your family to stay busy during the week off school. Depending on the weather, you may find yourself either digging through our indoor play spaces list, or enjoying a hike at a beautiful forest preserve nearby. If you’d prefer something scheduled, there’s plenty of spring break camps, activities and events in the western suburbs. Whether you’re looking for smaller daily classes, or a full week of structured activities, we’ve got it all here. Staying local for Spring Break? 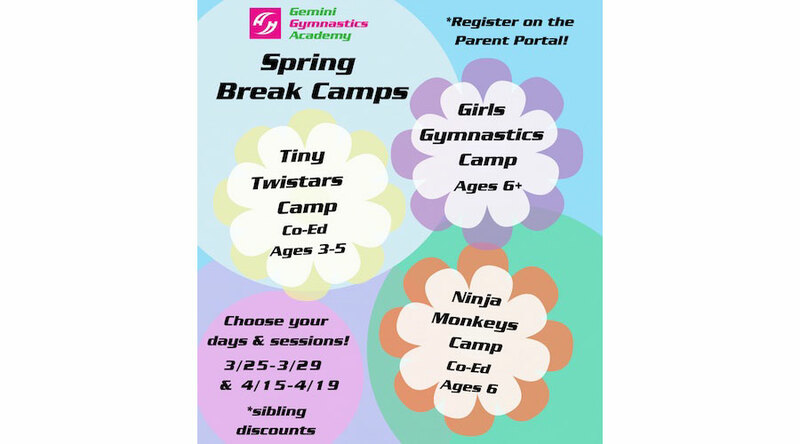 Gemini is offering camps during the different local Spring Break weeks. Morning, Afternoon, and Full Day camps will be offered both the weeks of 3/25-3/29 and 4/15-4/19. $45/ session or $75 for the full day with sibling discounts. Choose from Tiny Twistars Co-Ed Camp for ages 3-5, Ninja Monkey Co-Ed Camp for age 6, and Girls Gymnastics Camp for ages 6+. The Henn House offers workshops and private parties for ages 5+! Over Spring Break your kids will have a blast at one of our slime or paint parties. We will have a variety of friendship frames, custom wood signs, and custom table top boxes with mason jars to choose from so they can get creative. Time slots are two hours. Call or visit our website to sign up! Check our calendar for fun, kid-friendly options. Learn about the importance of animals in different cultures throughout the world. Daily enrollment available. Ages 4 – 12 are welcome to these themed weeks of fun and field trips. Spend the week acting and practicing improv with Second City. Camps begin at ages 6 and up. Camps available from children ages 5-13. Register for the whole week, or pick days that work best with your schedule. Programming includes crafts, games, activities and field trips. Stop by Greater La Grange YMCA, Elmhurst YMCA, or Indian Boundary YMCA to learn more. While continuing nature camp and history camp, you’ll also find sports, LEGO, STEM, chess, preschool art, and more. Spend the week painting, sculpting and building masterpieces. All supplies are included, whether signing your 8-12 year old up for the full camp, or your 5-7 year old up for the mini camp. Specialty camps, including Bricks 4 Kidz®: Mining & Crafting Camp and Princess Dance Camp. 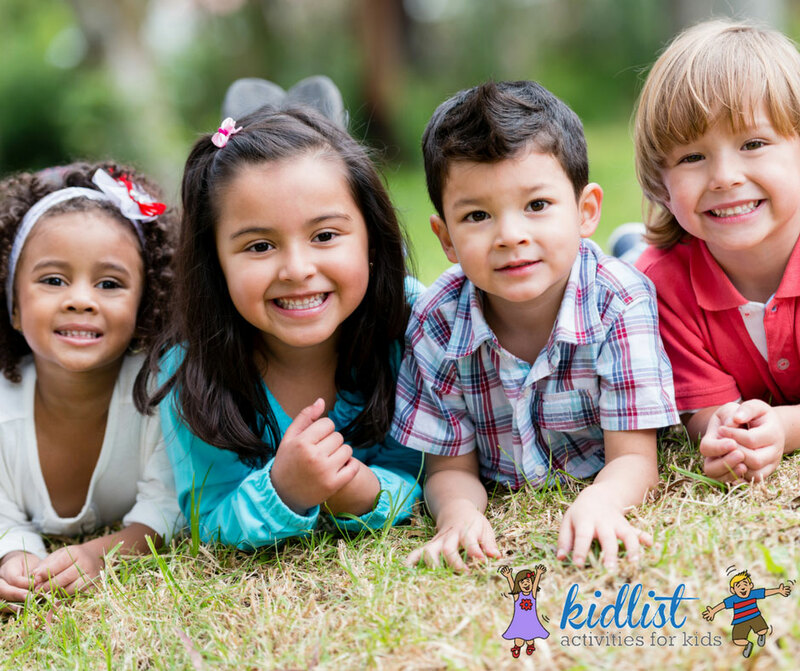 Sports, crafts, and activities for grades K – 6. 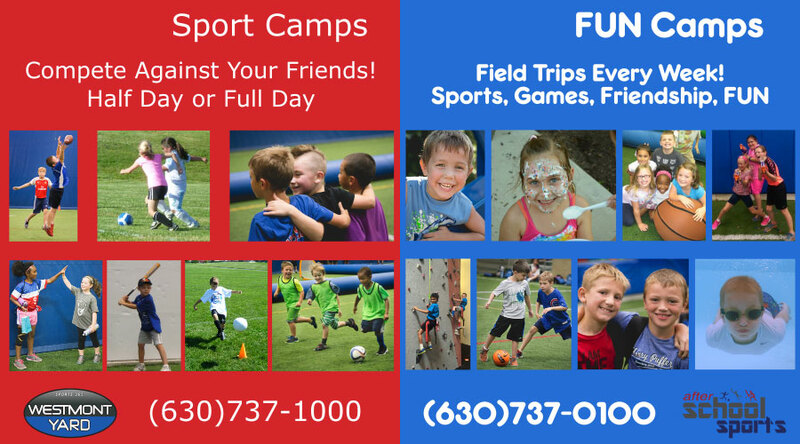 PDOFP also offers Sports Camp in the mornings for ages 4–11. Pick your favorite activities amongst a list that includes trivia, dodgeball, relay races, and more. Enjoy a week of creating art and making new friendships. Spend the week playing games, and doing indoor and outdoor activities, all while promoting a healthy lifestyle. Whether looking to practice skills for a specific sport, explore the great outdoors at Knoch Knolls Nature Center, or spend the day making new friendships and enjoying crafts and activities at day camp, the park district has something for everyone. Spend the week exploring the world. Take a trip to Chile, Morocco, South Africa, China, and Italy by doing hands-on projects, arts and crafts, and story-telling. A daily Spanish lesson is also offered. Themes and activities for ages 5–12; sign up for one or more days. Enjoy a week full of hands-on science activities. Camp is available for children ages 4 and up. Spend spring break going on field trips and enjoying activities like bowling and mini-golf. Whether practicing the basics or advancing your skills, spend the week playing soccer with new friends. Jump on trampolines, swing on bars, and play games at this half or full day camp. Enjoy indoor and outdoor games, as well as two field trips. The DuPage Children’s Museum in Naperville is a great spot for a day out, especially with the new Daniel Tiger exhibit. Start your spring break off with their Bug Bonanza on Saturday, March 23 from 9:00 am – 4:30 pm featuring all things that flutter, crawl, creep, and fly. In addition, Spring Break at Wonder Works Children’s Museum in Oak Park is Super Hero Week. Discover some local waterfalls and explore one of the 6 Best Forest Preserve Trails for Kids. If you’re up for a drive, spend the day soaking up some fresh air with a hike at Starved Rock. Check out our tips! You may not be heading somewhere warm for spring break, but it doesn’t mean you can’t enjoy the afternoon swimming. Splash around for a day-trip at one of these nearby indoor waterparks, or even plan a night away. Nature Centers offer a dose of the great outdoors, even when the weather isn’t cooperating. Visit one of these local Nature Centers and bring the outdoor fun inside! We had a great time visiting Red Oak Nature Center this past summer. The Garfield Park Conservatory is filled with lush, colorful vegetation year round! On Wednesday afternoons, visit for the Wild Wednesday program where families can get dirty and discover new things about plants, animals and nature. If the weather is nice, find a new playground to swing, jump, and climb. Readers voted and came up with an awesome list of the 10 Best Parks and Playgrounds in the Western Suburbs. Sick of playing at the same places? Here’s a list of new playgrounds! Not so great outside? Move the fun inside to one of many indoor play areas or check out an open gym. Find more indoor fun and get your game on! We’ve rounded up the best local arcades, laser tag and game rooms in the Chicago area. How about a family game of bowling at one of these kid-friendly bowling alleys? Getting some ice cream can also be a really fun treat. Shop local and support one of these delicious neighborhood ice cream shops: The Best Local Ice Cream Shops. Find tickets to a kid-friendly theater production! We have all of the Live Theater Spring Productions. Blue Man Group has an enhanced spring break performance schedule with added shows plus ticket packages, including their newest package that gives you passes to Navy Pier’s Centennial Wheel. You can click here to get discounted tickets for their show and others! The outdoor ice skating rinks may be closed for the season, but there are many indoor options with public skate times! Check this out: Ice Skating Rinks for Families in the Western Suburbs . Looking for sensory-friendly ideas? Read our article about sensory-friendly events, which includes movies, shows, play times, and more. Eat lunch or dinner at one of these train restaurants in the suburbs or destination restaurants. Don’t forget all of these places that kids eat free! Bring the whole family to compete at 12 games of BINGO. Snacks, pizza, and drinks will be provided, with prizes to be won! Stop by the library and enjoy movie night with your family! During spring break, the library will offer a different daily challenge that stretches your creativity. Visit the children’s department at the Elmhurst Public Library for more details. Check out our resources for families page for more great information on local things to do with your kids. 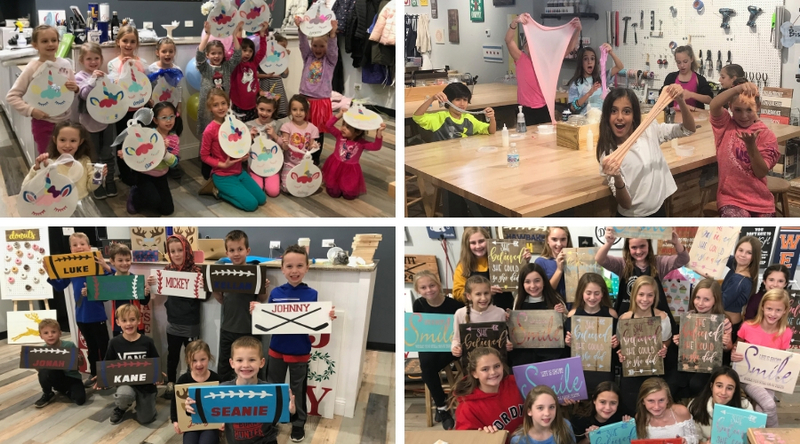 Be the first to comment on "2019 Spring Break Camps, Activities, and Events in the West Suburbs"